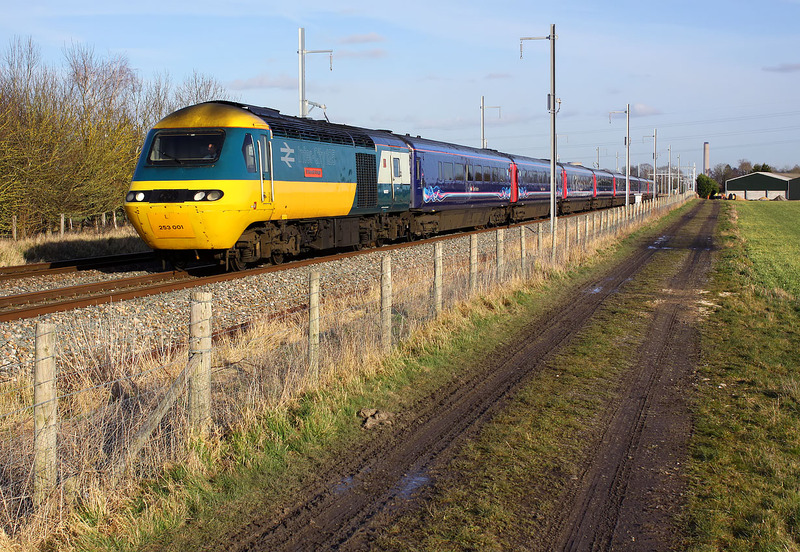 43002 Sir Kenneth Grange passes Steventon on 16 February 2018 with the 1B46 14:45 Paddington to Swansea GWR service. I had noted this on the rear of the 1A17 12:30 Bristol Temple Meads to Paddington a couple of hours earlier, and therefore made sure I was in the best possible position to get a decent picture of this iconic power car in the perfect late afternoon winter light. Although this location is one of the few in the area that is not fully wired, the view still compares unfavourably with the same location a year earlier, when 43002 was also photographed here.